Caught my first Bass out of the kayak today. Two fish between 30-35 cm. Was a great morning on what we will say was a local river :) Tham rang me for a Friday night session, but I convinced him to do an early start. We were on the water by 6:30 and I was home by 10. My fish were caught on a Jig Spin with a 1/8th jig and slider tail. 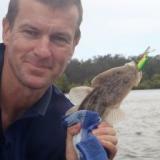 Tham's fish were same but he got one on a yellow Kokoda Bat. Really great to break my duck, and good to get some confidence before the Bass Catch next weekend. It was a magnificent Sydney Spring day, not my biggest Bass but a bit of a landmark. I've been trying to get to Lake St Clair for a long time. Glenbawn has been a favourite destination for many years with it's excellent camping and good fishing options. Finally got out there for the October long weekend. We didn't do too well on the fishing front, but we did see some nice bass caught from the bank in the campground on worms! Daniel kept us rom getting a group donut by catching a couple of kilos of catfish. Will be held 18/19 Oct 2014 information here. 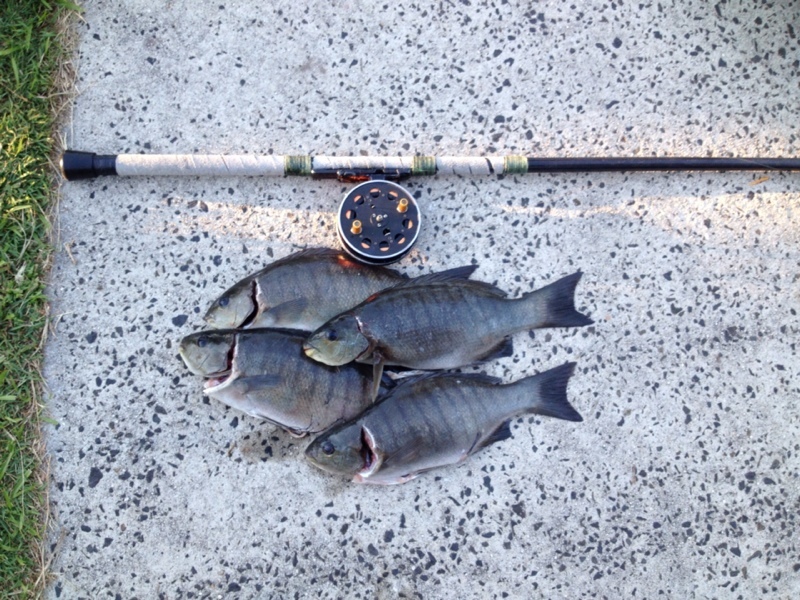 New recreational fishing rules will come into place for NSW from Nov 2014. Haven't been fishing since June. Went to Italy for a family holiday and have been itching to get out. I have also been meaning to get the boat out and run the motor, so I decided that today was a nice enough forecast to kill too birds with one stone. Tonight I had the great pleasure of speaking in front of a group of Anglers at the Burwood RSL Club.